I was recently browsing through some online Pilates videos. The teachers were fine and good and, hopefully, well-intentioned. However, there was a consistent message coming through these videos that made me cringe. Time and time again, the teachers would show an exercise and its choreography and say something along the lines of “This is ultimate version,” or “This is the ideal.” Then the teacher would proceed to offer modifications if the “ultimate” or “ideal” was not attainable. I get it. As teachers, we learned these Pilates exercises in our training programs and then subsequently learned ways to modify them for our clients, because – let’s be real – a lot of these exercises are damn hard and not fully attainable for most people. AND THAT IS OK! However, if we use language like “ultimate” or “ideal” when describing movements, we are setting an expectation that is really arbitrary and artificial. There is no “ultimate” or “ideal” movement. There are only movements that we as unique individuals are capable of making. Those movements are the ideal for that person. Let’s look a little closer at the impact artificial standards could have on our clients. When we label a specific execution of an exercise as the “ideal,” but then proceed to modify it, we are unintentionally sending the message to the client that he or she isn’t strong enough, flexible enough and/or good enough to accomplish the “ideal.” Think about that. We are letting them know what they CAN’T do instead of emphasizing what they CAN do. I understand the argument for giving people a goal to strive for. However, I believe that striving for our own personal best should always be the ideal. It will look different for everyone and may even look different from day-to-day. Personally, I do not use the word ‘modification’ in my teaching. Instead, I give my clients ‘variations’ that work for them. By definition, modify means to make less extreme. Again, with the ‘less-than’ mentality. What is the benefit to pointing out or demonstrating these “ideal” movements for our clients anyway? Pilates is not a competition. Movement is not a competition. There is no “ultimate” or “ideal” movement. Movement is movement. We live in a society that is constantly forcing this idea of perfection and ideal down our throats. Perfectly chiseled bodies on magazine covers, smiling happy families on Facebook, the invention of Pinterest and all those super creative and organized ideas. Let’s not add Pilates to that list. Let’s allow our clients to accomplish something in their practice. Let’s not remind them what they can’t do. Remember, clients are coming to us and entrusting us with their health. Every word we say to them has an impact. What do you want your impact to be? The Winter Joints Blues →← Classes or Privates? 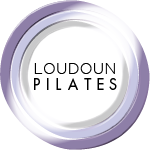 Amy Hershey is the owner of Loudoun Pilates. She brings years of experience, as well as enthusiasm and passion to properly educate, guide, and encourage each of our clients on their health and wellness journey through Pilates. Through her years of training and study, Amy has developed a profound appreciation for the transformational healing capabilities of the Pilates Method. 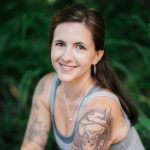 She specializes in teaching the refined, subtle movements of the human body and how a mastery of those skills translates to stronger and healthier movements. Amy graduated from The Pilates Centers’ 950-hour Advanced Teacher Training Program and studied extensively under the teachings and mentorship of Cara Reeser. She currently serves as a Host Advisor for The Pilates Center Teacher Training Program, for which she mentors aspiring teachers as they complete their training program.